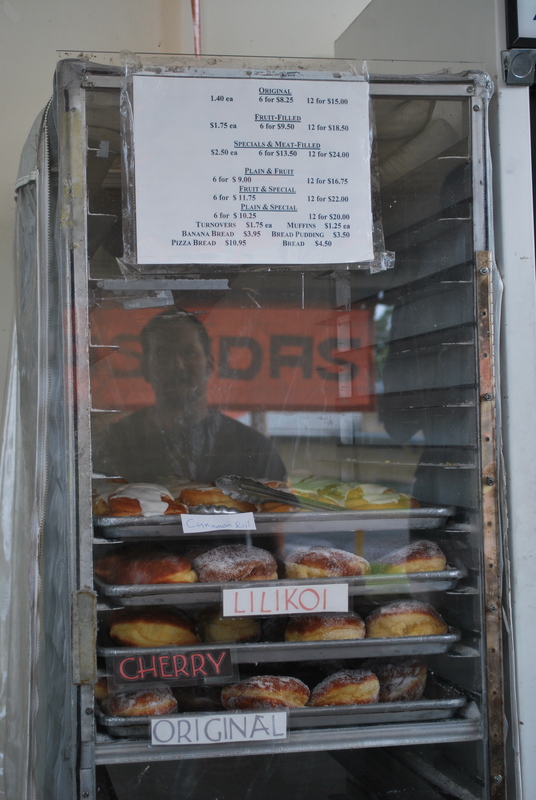 But better yet, where can one find a “Malasada” while getting your car’s oil changed? 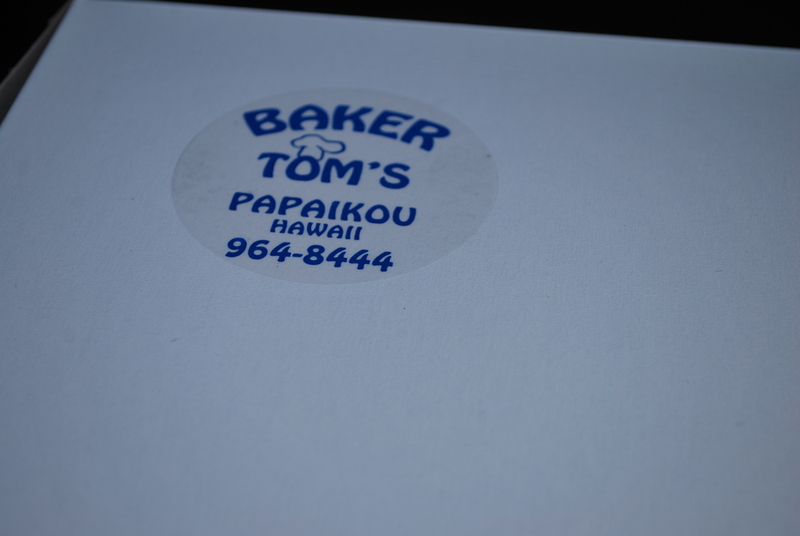 Only one place really…at Baker Tom’s in Papaikou. Never had the opportunity to try these delectable delights? 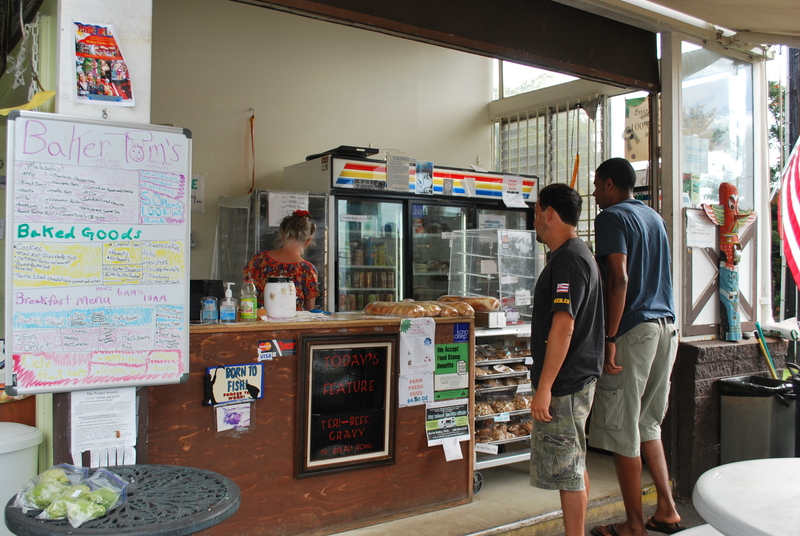 Malasadas are no-frills, no thrills just darn good local eats. How could you possibly go wrong with fried dough rolled in sugar?! 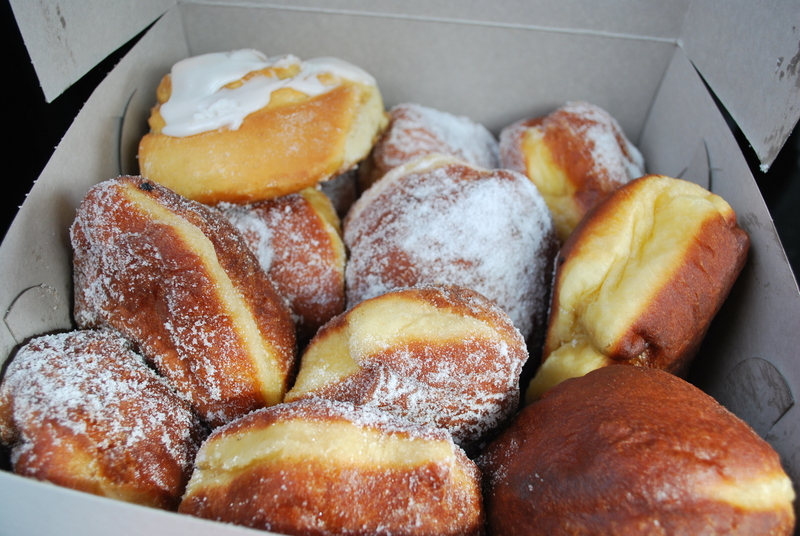 Traditionally a Portuguese style donut, I do my hardest to go on a malasada binge whenever I visit the islands. Fried Dough? Goooood. Filled with Tropical Flavors? Goood. Seriously-it’s a WIN-WIN situation! During our visit Isaiah’s cousin, Dave, raved about Baker Tom’s malasadas–and as he’s quite the donut aficionado with his own blog (http://www.donutblog.com) I knew we had to give it a try! 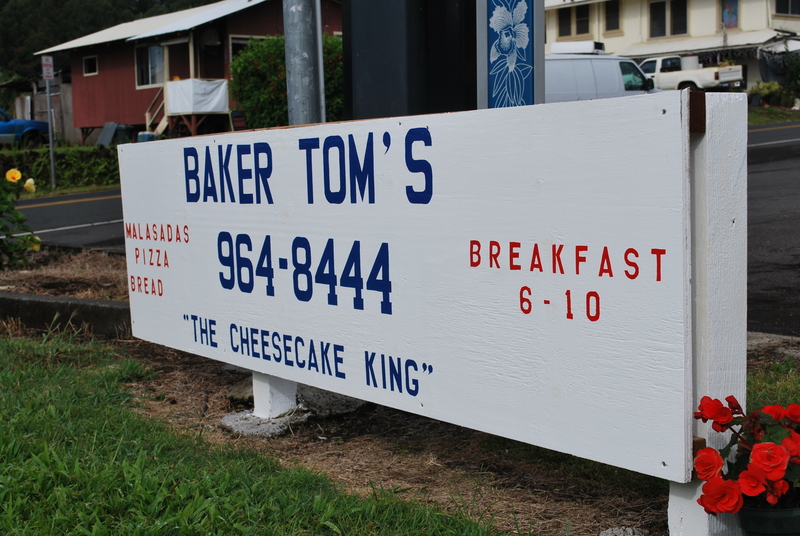 So on one gorgeous morning on the Big Island we ventured down to Baker Tom’s to grab a box of malasadas to bring back to the house. Once back at the house, we cut the malasadas in half so we could try multiple flavors. The dough was absolutely wonderful—light, crispy, yeast-y, and not the least bit greasy. Perfect. 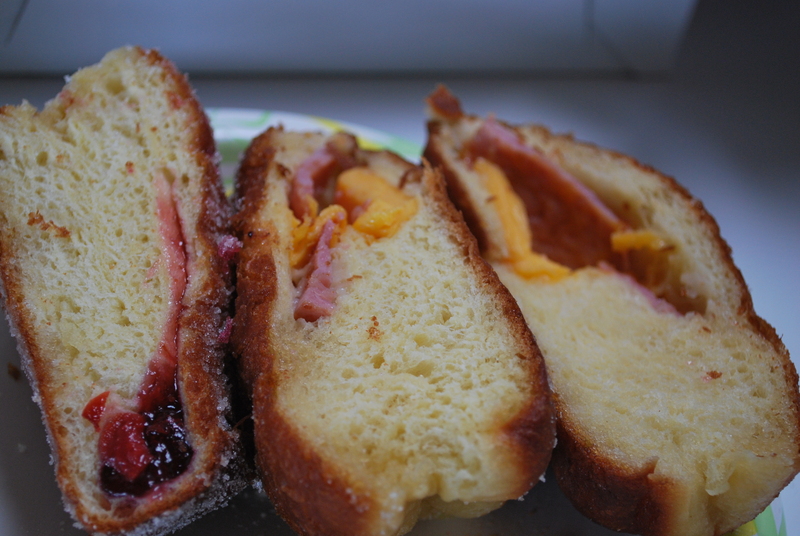 With the exception of the Canadian Bacon malasada, each were lightly dusted with sugar–great flavor and texture addition. Of the fruit options, the Lilikoi was my favorite. As for the Canadian Bacon, it was akin to a Ham and Cheese croissant with Canadian Bacon and Cheese wrapped inside. 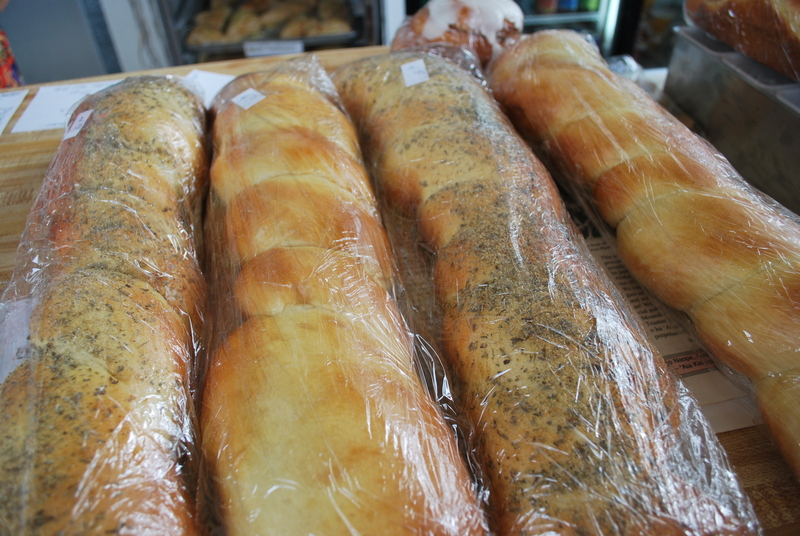 All of them perfect to enjoy with a hot steaming cup of Kona Coffee. my daughter used to call them “sugarlips.” Thanks for your posts, brings back wonderful memories!!! “Sugarlips”? 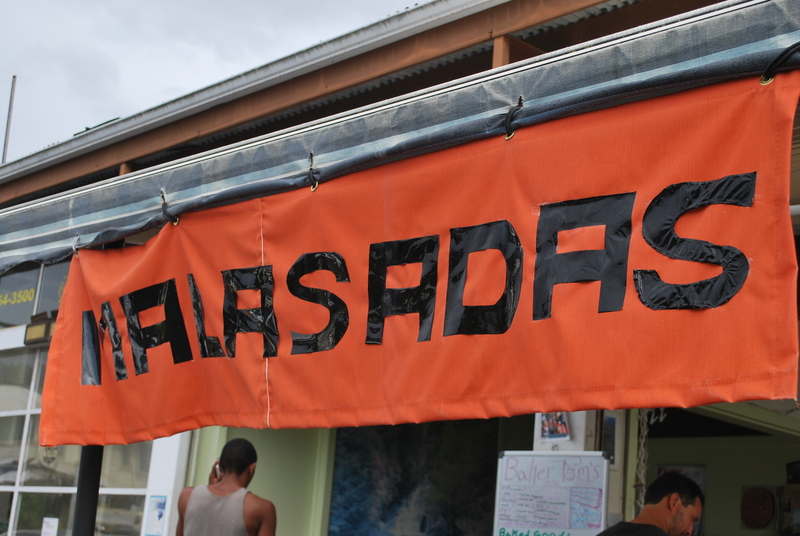 That’s actually the perfect aka for Malasadas! 🙂 How cute!